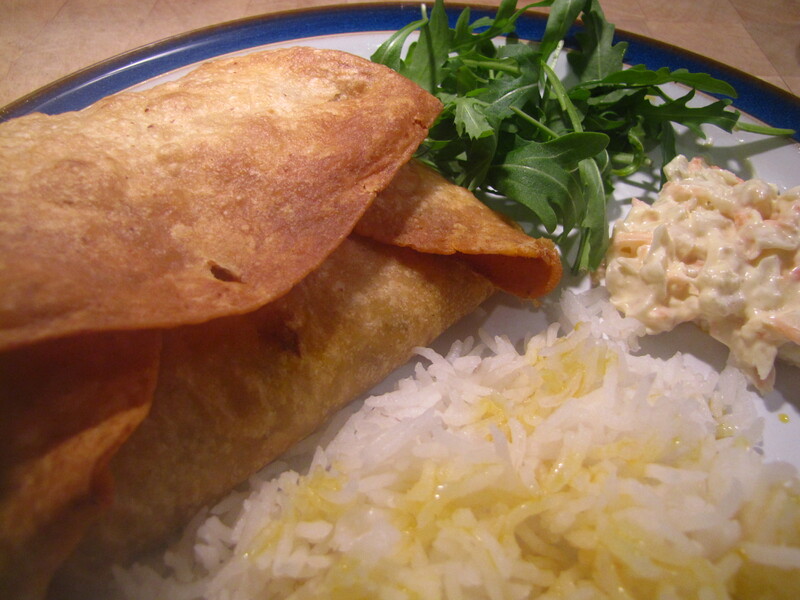 Rumour has it that chimichangas were discovered ‘by accident’ when someone dropped a burrito into a deep fat frier. Whether this is true or not, it does highlight that these spicy Mexican dishes are not the most healthy. You can just cook them in the oven, but the effect isn’t the same. I like to partially cook in hot oil and drain off the surplus before finishing in the oven – a good compromise I think.